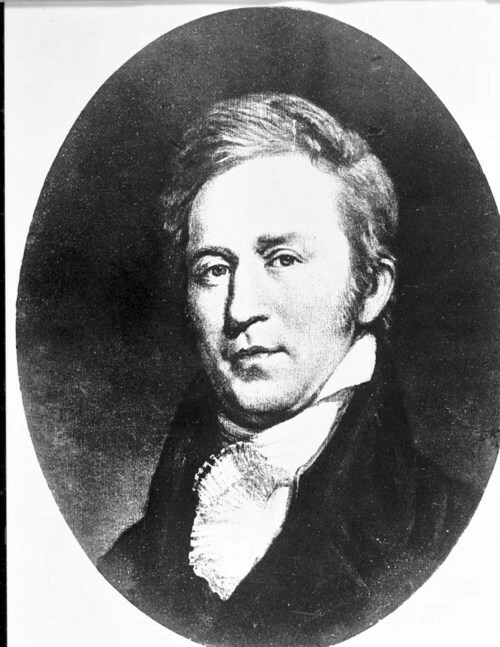 This portrait of William Clark, 1770-1838, was painted by Charles Wilson Peale, 1741-1827, while Clark was Superintendent of Indian Affairs at St. Louis, Missouri. The Lewis and Clark Expedition, 1804-1806, headed by Meriwether Lewis and William Clark, was the first American overland expedition to the Pacific coast and back. Clark was an explorer, surveyor, militia leader, and a member of the Freemasons. He served as the Superintendent of Indian Affairs for the Louisiana Territory, 1809-1812, and as governor of the Missouri Territory, 1813-1820.